Hello from East Lansing, MI…where the temperature is diminishes and the chance of snow and ice increases as we embark upon the Month of December. Apparently, November ended up being warmer and milder than anyone expected (it was supposed to start snowing on Halloween…instead we got temperatures that ranged from the mid 60’s to the low 30’s). 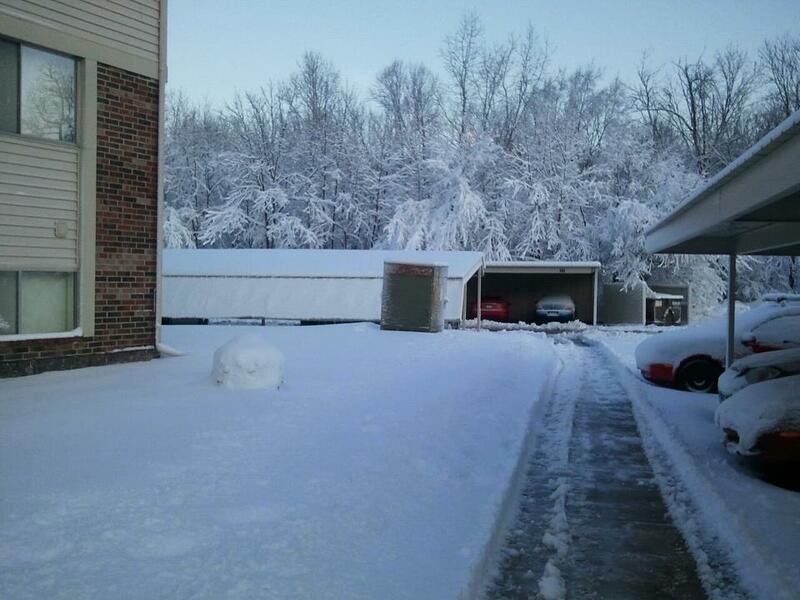 We did get a couple of days of freak “snow showers” (never heard that phrase until I came to live here), but no major accumulation or icing on the roads. So we made it past Thanksgiving without much excitement, weather-wise. It seems that the excitement of the month with all its goings on has left me very limited time to write this blog. But my delay in putting out this update on our lives is not just because of the flurry of events. I was actually waiting for my “Christmas present” to arrive before I wrote this missive. Yes, ladies and gentlemen, after 5.5 years of loyal service, I have put my old iMac into retirement (it had all but thrown in the towel…would not take ANY MORE updates) and have purchased a BRAND, SPANKIN’ NEW iMAC!! With Apple being “so generous” with their $101.00 off retail price deal on Black Friday, I decided it was time to look into a newer model that would take me into the next 5.5 years of technological bliss…starting with this blog. YAY!!! There were many milestones crossed in November. Not necessarily by us…but by those who are near and dear to us. Of course, one notable event that occurred this month is my trip to Atlanta…to see friends and family, obviously, but mainly to participate in what I have deemed “the wedding of the century” (move over, William and Kate!). 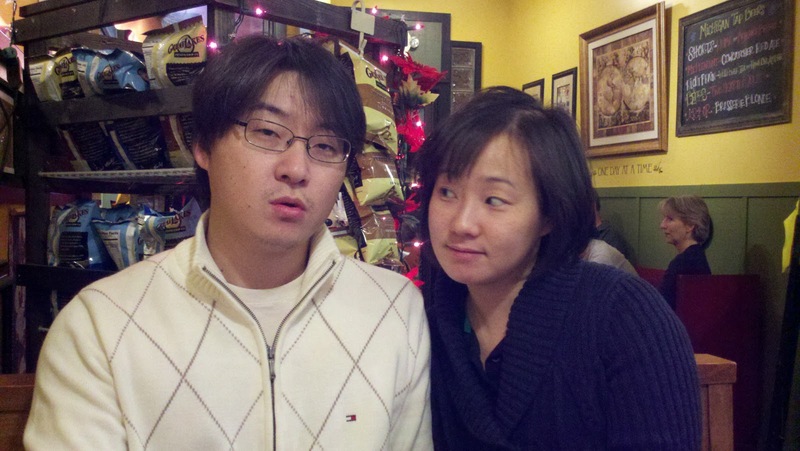 Of course, I’m talking about the wedding of the new Sarah and Mark Yang. So many people have waited for the day when these two individuals would get married (and this was even BEFORE meeting each other). Both Sarah and Mark are amazing individuals – and the fact that they found each other is nothing short of amazing! They are almost carbon copies of one another (expect one is a bubbly, girlish female and the other a calm, level-headed, gentile male) and no one could have imagined a better match for these two. 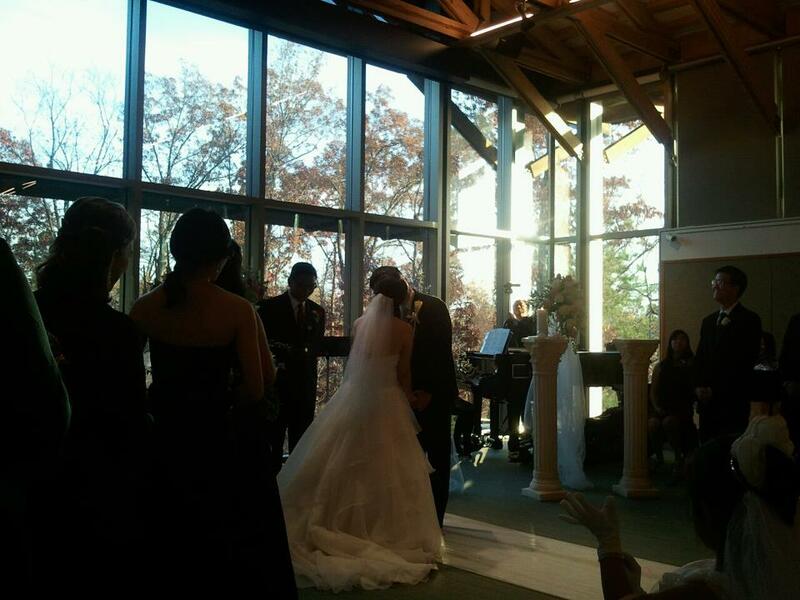 MR & MRS YANG!! YAY!! Also, getting to see some of my dearest friends – Sylvia, Stephanie, the Chun family, the Robins family (so glad I got to hear Pastor Chris preach again! ), the St Paul’s family, the gang (i.e. Daeywi, Joe, Merf, Yammie, Will/Christine, Ethan, Eric, Alex “Bongo-Boy”, Steven/Mei, Yeoung, Danny, Jasper/Bonnie, Eileen, GRACE LEE – where have you been HIDING?? 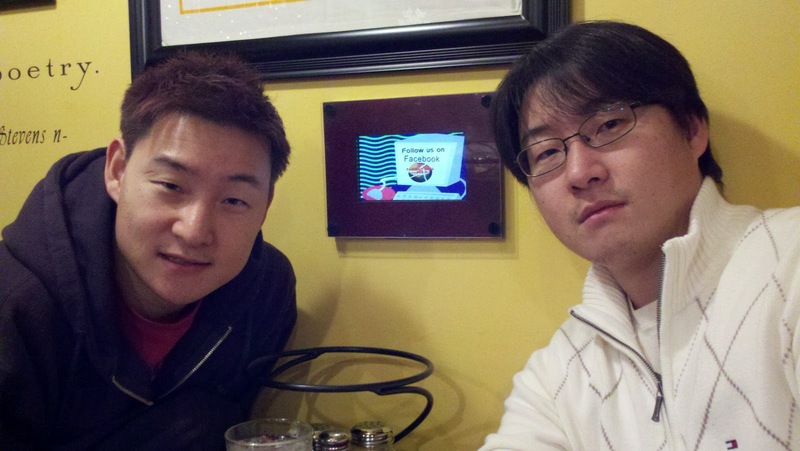 -, Roy, and Joon), and even friends that go WAY WAY back – made the trip so sweet and worth the long travels and sleep deprivation. Dinners, lunches, shopping, karaoke (a.k.a. “all things Broadway! !”), wedding receptions, dancing, Thanksgiving potlucks…the trip still lingers today in the form of mental and physical fatigue (still SO TIRED!!). But I suppose that just means that the trip was THAT AWESOME!! Despite the awesomeness that this Atlanta trip was, I started to feel as if my ties to Atlanta were a little different than before. 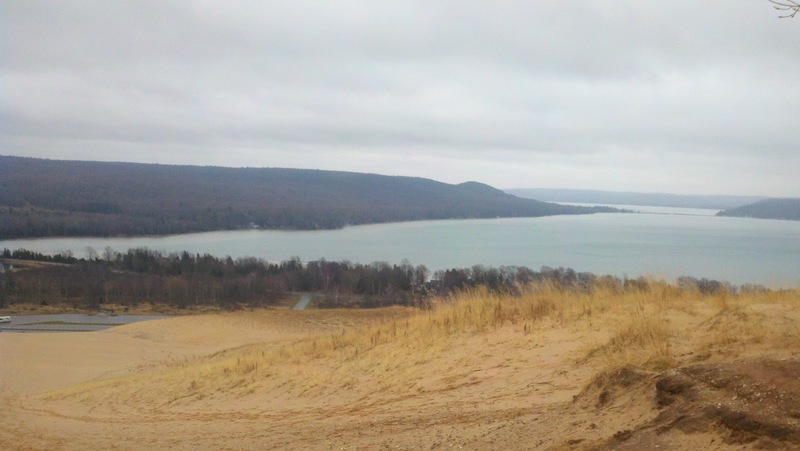 After 5 months in Michigan, it seems that I have grown accustomed to life here. While I still see Atlanta as “home” (considering most of my family and friends are there), I’ve started to feel like a “visitor” and not a native anymore. The fact that I was there without InChul probably added to the feeling, I suppose. But the realization is that I have successfully transitioned into a new area and have come to see it as my “home”…which is good because that’s what it’ll be for the next 6 years. But I still REFUSE to call soft drinks “POP”!! 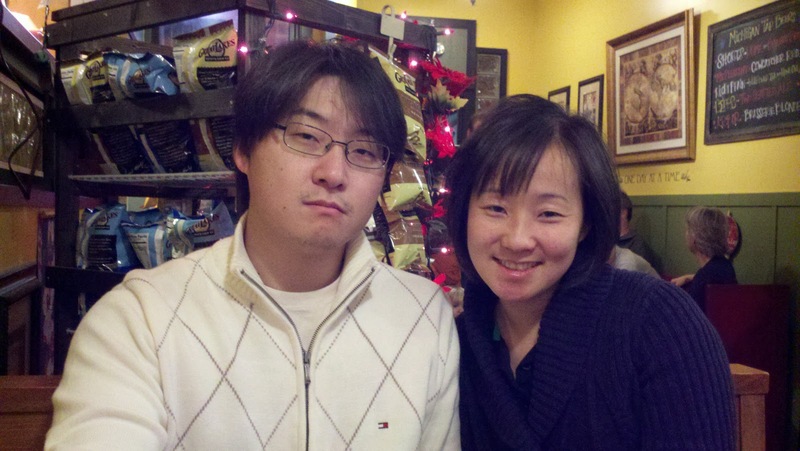 After the awesome Atlanta trip, MyungChul paid us a visit for Thanksgiving in East Lansing. 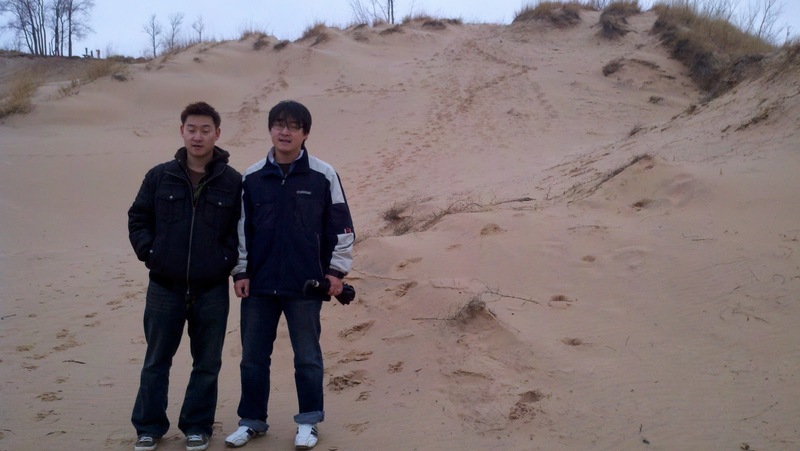 Though he complained about the cold weather (I don’t blame him), he did seem to enjoy the turkey feast we enjoyed with some of InChul’s co-interns (yes, I cooked a turkey for the event…along with 4 other sides) as well as our mini-trip to Traverse City (the food, the stores, the climbing of massive sand dunes). 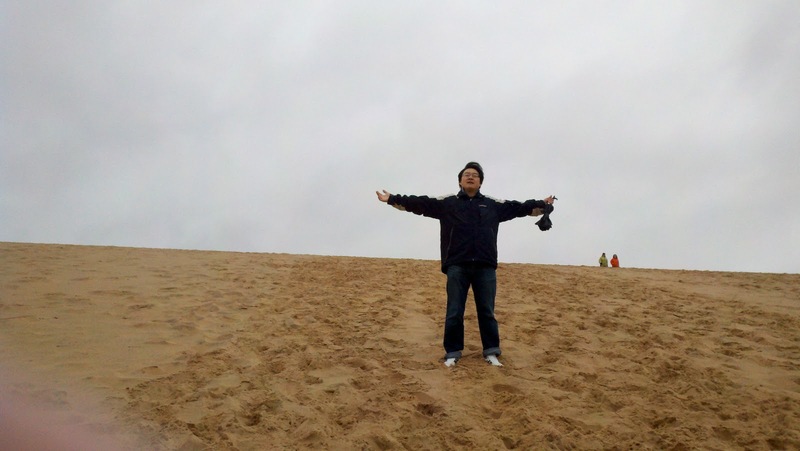 The weekend really flew by…and next thing we knew, MyungChul was back on a plane headed to DC. 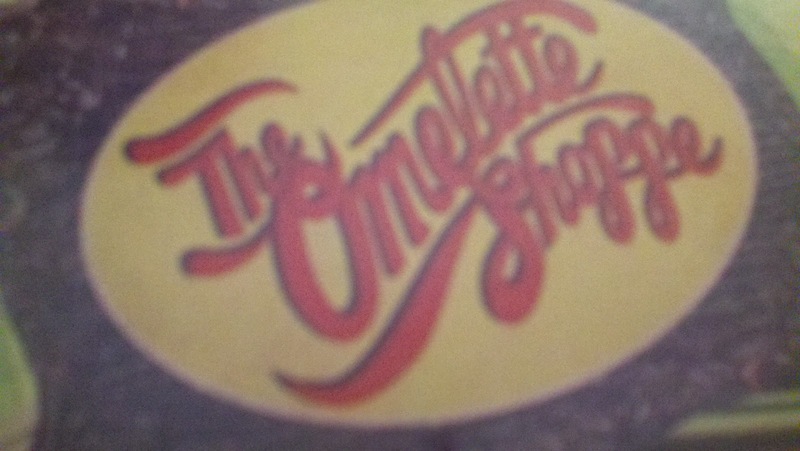 A GREAT breakfast place!! The food was AMAZING!! 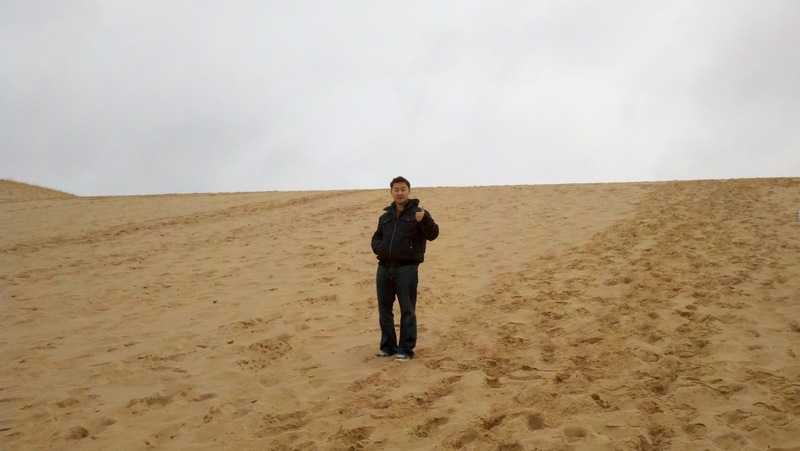 …yes, climbing these huge dunes in freezing cold weather was MY idea!! 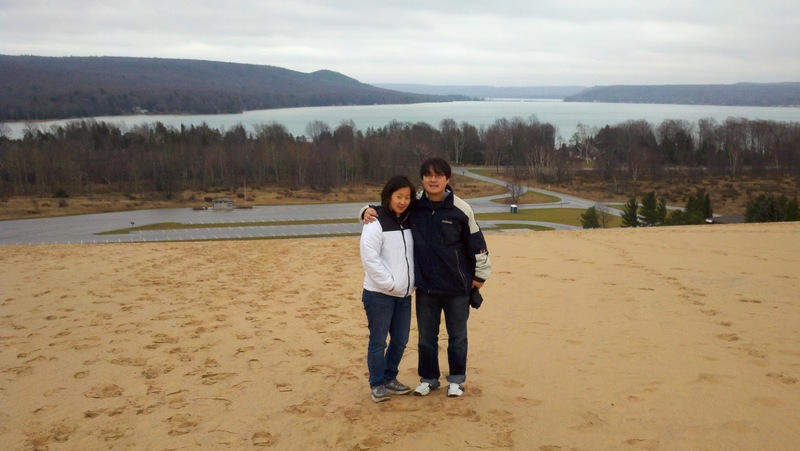 We didn’t make the entire 3 hours trek across the dunes…but the scene was still beautiful! One thing’s for sure…you can’t live in East Lansing, MI right now without being swept up into a Spartan frenzy. Football season is wrapping up, and the MSU Spartans meet Wisconsin in Indiana to duke it out for the Big 10 Championship. But as football winds down, the basketball season has started, and I got to experience on Wednesday, November 30th yet another first – a NCAA basketball game!! 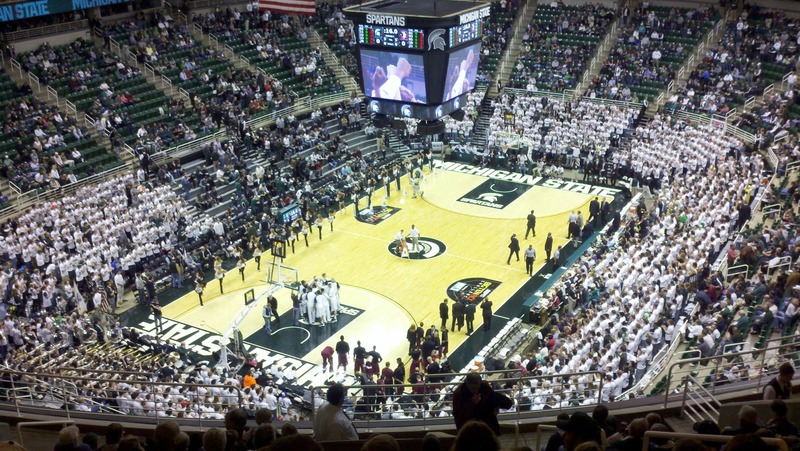 It was FSU ‘Noles @ MSU Spartans…and yes, the Spartans came out on top with a final score of MSU 65 – 49 FSU!! If they had scored just 5 more points, we would have ended up at Taco Bell that night eating $.70 tacos (I suppose it’s better they didn’t…that’s another 5 pounds of added weight I definitely don’t need right now). 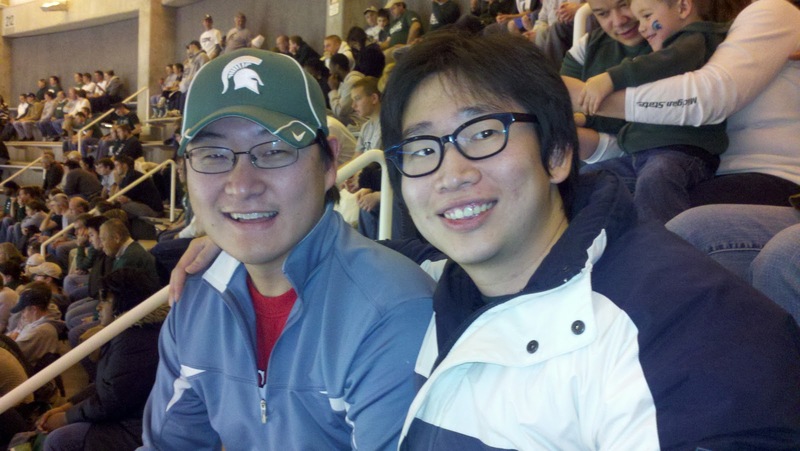 Despite the pseudo-Mexican food deprivation, we had a good time, InChul, Joonseok, and I, as we watched the Spartans trample the Seminoles. See their team is WEEEAAAAAAK! 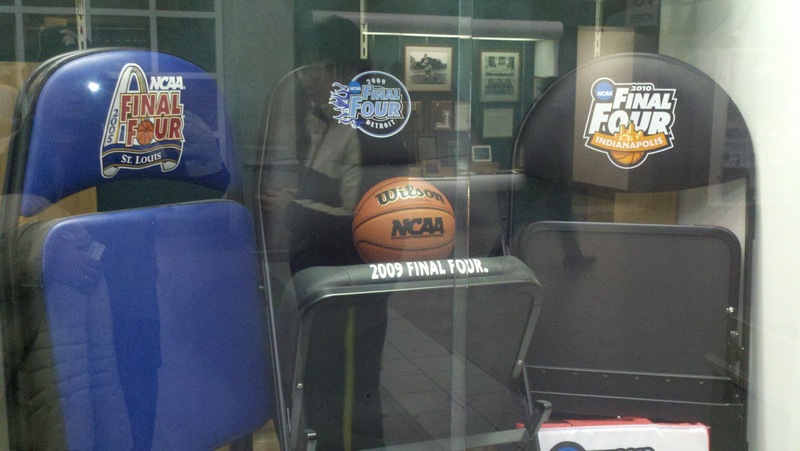 !…Victory for MSU!! 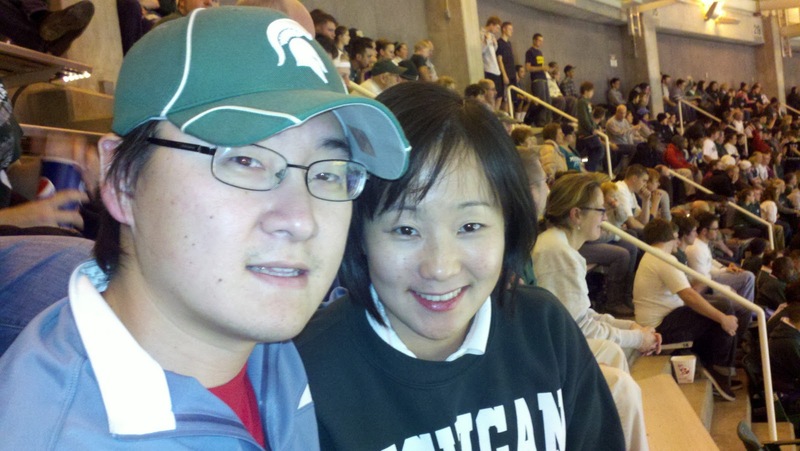 An family decked in Spartan green…GO MSU!! Despite a long day at the hospital, here to support the Spartans!! Hudson in the snow here in Michigan!! So, as we approach winter, as it prepares to wage war against our body, mind, and souls (gray days do tend to cause some amount of seasonal depression), we finally bid farewell to any hopes of above freezing temperatures, wrap ourselves in layer upon layer upon layer (I say my record thus far is six), and prepare what resembles little fallout shelters within our motor vehicles. We crank up the heat, bundle up in warm blankets, and pray to God that the electricity won’t go out with the next load of snow that comes our way. The people of Michigan brace themselves for the worst, and try to stay in good cheer along the way. 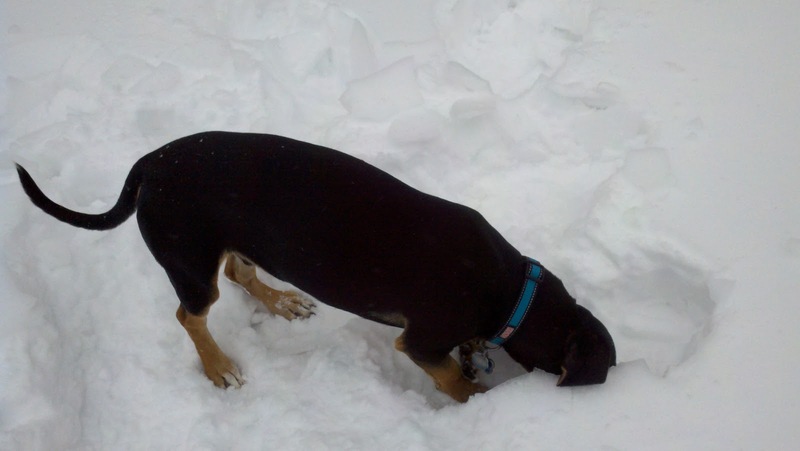 All in all, we are grateful that we have the means to outlast the blast of winter. Previous Post November Nears, and Life Kicks into High Gear! !